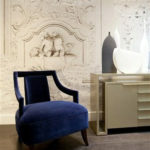 New British brand, Scion, is proud to present Melinki, its first collection of prints, weaves and wallcoverings, which will be launched in Spring 2012. Scion is a refreshing new brand, designed to have a huge impact on the world of interiors. 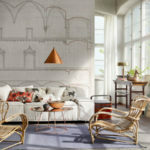 Created with a trend-savvy, fashion-aware customer in mind, its fabrics and wallcoverings are cutting-edge, accessibly-priced and forward-looking, but with an enduring appeal and individuality. According to the dictionary ‘scion’ refers to ‘a young shoot or twig’ or ‘a descendant of a notable family or one with a long lineage’: an appropriate name for this exciting and innovative brand, produced under the management of the Harlequin Group. Melinki is a perfect fit for the Scion brand ethos and fills an obvious gap in the market for on-trend, edgy fabrics and wallcoverings at affordable prices – 100% cotton prints start at £25.00/mtr and non-woven wallcoverings at £30.00/roll. Comprising a mix of printed fabrics, embroideries, jacquards, co-ordinating plains and complementary wallcoverings, Melinki draws inspiration from both mid-century archive documents and modern Scandinavian design. Uncomplicated yet powerfully effective, the collection channels fashion motifs and colours. 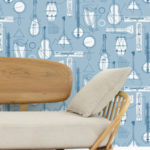 It bestows the freedom to create a diverse range of moods and looks through its mix of designs and cool, clean, colour groups, which include coastal calm, retro kitsch, bakelite brights and urban neutrals. 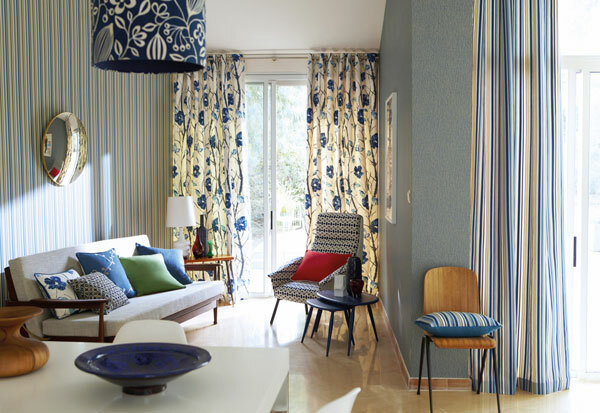 Scion truly is a great British brand: all Melinki’s printed fabrics and wallcoverings are manufactured in the UK, by factories that have clear commitments and initiatives towards the care of the environment and to sustainability.